Hi, I am not receiving emails to activate my account or to receive treasure chest. Squiggy is not active anymore, ask Dr. Leipreachan or someone else. Oh man....now Squiggy is gone. What is the world coming to? You will be missed, mi amigo. I knew he was vamoosed. But I didn't know that the account got banned. I know there's some controversy surrounding the whole thing -- and we can't talk about that -- but Squiggy was one top-level dude. And I'm not talking player rating....I mean that he had class. He had chutzpah, and he was an all around nice guy. I just hope that the current head volunteer staff member understands what big shoes he has to fill. It's not about the power. It's about the service to the community. And Sir McSquiggles really cared about us, the Call of War community. Hello I'm biggee I want to say something but am afraid of the reaction as last time I made a complaint I got a warning and was told only governments have freedom of speech and expression.If that is the case then I'm afraid the KGB will come for me if I speak out.LOL I don't wish to offend any individual but if no one complaints nothing changes. 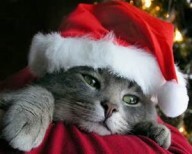 merry X-mass to all cat lovers "UND OLNE CAT LOVERS"
Message me when you get a moment please. can unban me account zzzxxx666@yahoo.com says me account is banned? Hey, you ran away when i tried to love you. Did you make me a mod? Apparently someone thinks im a mod. And he wants me to say hi. It was. This guy says hi. Hi, I've something to discuss. Me and some friends from our alliance started map nr. 1719490 in French. In a few days we were erased from the game, the stated reason was that we have broken anticheat rules. The French administrator's explanation was that it is not allowed for people from other countries play on French maps. I would really like to know what rule we have broken. I was not able to find any reason why we was just fired out of the map. This is unacceptable, I am really mad that we were treated this way. I would like to get a reasonable explanation. We all are disappointed, most of us pay you for at least the High Command account. We take it as the map community was feeling threatened and used a stupid way to erase us from their map. We would like you to ask the French admin and give as an explanation soon. Where is the game mate? I wanna get my destruction on. I have joined. Who shall we pillage first? To say the least. Please tell me im allowed to have nukes. I am curious: have you had a chance to review the substance of the conversation started by Dr. Leprechan with me earlier today -- before it was deleted without explanation? Deleting a dispute thread, pending a review, strikes me as both high-handed and more than a little bit insulting. Did Dr. L delete it? Hello, firstly I will note that I edited out personal info(Its a public forum). You have sent a report about this recently, please respond to response you were given from the report and we can delve further into this issue. Thank you. Everyone else are changing their avatars to christmas characters, so i decided to do so aswell.. Very good! We must promote the spirit of Christmas for all the hear/see. like my new avatar i have more kittens and i will change the pics soon i have 3 tans 1 lack and a gay. and my little friend coffe its full of coffe colors !!! Hello, I am interested in joining your alliance I am level 42 and very active. Hello, the first thing I would do is report this alliance. You can click on the coalition info in the coalitions tab and report this alliance. Squiggles, why no rank allowance for the Jewbear? Also, how do i lose all of my points again? I cant have so many points. I feel not so.....Jewbearish. Because it is beyond your power little bear. Some power is beyond the comprehension of the mortal mind. But yet i comprehend why the governments are our enemies. Please? I wont hand out the ranks all willy nilly. Squigs y u no folow meh? Nooo! How do you have so many minions? Why would you want to put a can as your profile image? Speak to Jhon Pete please. I swear, I am on the verge with one player, and he'll explain to you.